Following its win in 2018, Abarth is once again on the winners list of the ‘Best Brands’ competition that renowned German automotive magazine, Auto Bild, host. Abarth can proudly say they have secured the overall victory in the Design category across all car segments, as well as another two wins in this category. Readers also took to voting the Abarth 595 and Abarth 695 as the best in the “Mini Car” division, and the Abarth 124 Spider showed a repeat success in the “Convertibles up to 50,000 Euro” segment with another win! This triple win has reinforced the unmatched personality of the easily recognised Scorpion badged car. “We are proud to have earned the favour of the readers of the Auto Bild specialist magazine once again and particularly to have won the best design title in the overall standings for the first time”, head of EMEA Fiat and Abarth brands, Luca Napolitano expressed, “This important recognition joins the prizes already reaped in these first months of the year, starting from the title of ‘Best Car’ in the ‘Imported Mini Car’ category awarded to Abarth 595 by the readers of Auto Motor und Sport magazine for the fourth time in a row. These prestigious accolades make the 70th anniversary of the brand even more special. The legend of the brand with the Scorpion badge started on 31 March 1949 and is as fascinating as ever still today. We will be celebrating this milestone with the new ‘70th Anniversary’ range on the 595 and 124 and with the recent 595 esseesse and 124 Rally Tribute that debuted in Geneva”. German car fans were also inspired by the design of the Alfa Romeo, and readers vote the Stelvio, Giulia and Giulietta winners in the ‘Design’ category. Following 2017 and 2018, the Alfa Romeo Stelvio was honoured as having the most beautiful design in the ‘compact SUVs’ segment. 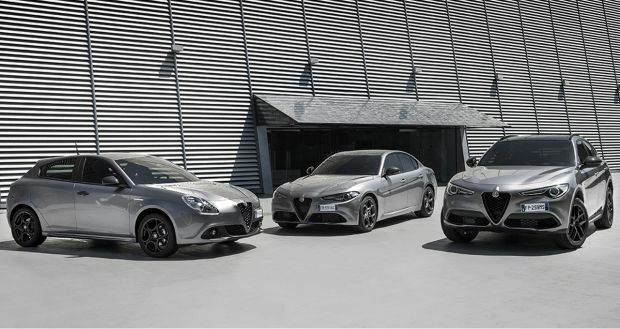 Also celebrating its third consecutive win in the ‘mid-size’ category, the Alfa Romeo Giulia sports limousine scooped up that award in terms of design. The Alfa Romeo Giulietta assured its first place again with its attractive design in the ‘compact car’ category. "I am particularly pleased about this renewed success because it again comprises three different vehicle categories. This shows the wide range in which Alfa Romeo's design functions perfectly," says Klaus Busse, Head of Design EMEA. The Auto Bild ‘Best Brands 2019’ Competition is in its eighth year and has involved the readers of the printed and online editions of the magazine, amounting to over 63,000 readers taking part. These readers shared the motivations behind their purchases in the automotive, accessories, parts and services sectors. 38 major brands took on the evaluation in 14 model classes. The evaluation criteria based on design, quality, value for money, image, and service. These vehicle classes ranged from small cars, convertibles and SUVs.